I decided to start a new series called “People in Climbing”. This is my way to share the stories of the people in the climbing industry who inspire me. Whether they are other photographers, athletes, editors, or writers. Climbing unites us all and I want to share that energy. 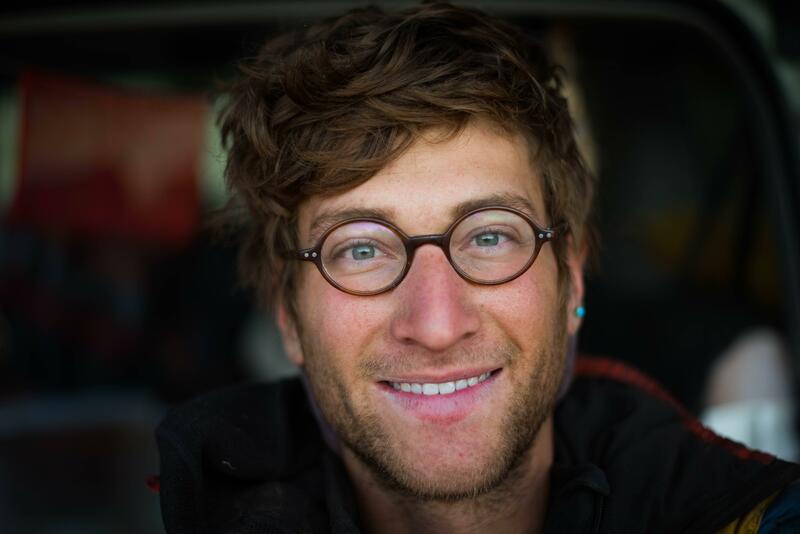 Today I’m featuring Matthew Sellick a guide, climber, and photographer. I’m inspired by the great crack climbs featured often in his work. But the many personalities that he clearly captures well and intentionally makes part of his work. Below Matthew shares some great tips for living a life of passion. I especially appreciated his insights for structuring days to play to our strengths and fit well within our intended lifestyle. So if you don’t know Matthew, I hope this gives a little insight into how he does his thing. Q: How did you get your start in outdoor media? What was the turning point when you realized you could turn it into a profession? I got my first SLR camera when I was 14, it was a Christmas gift from my parents. I learned how to use it and took some photography classes at the local art museum in Toledo, Ohio. When I was 18, I took my first backpacking trip and the camera came with me. It has since accompanied me on nearly every outing since, unless the forecast is calling for serious rain. I moved into my vehicle in the spring of 2014 and just started shooting scenes from everyday life. I guess that any publicity I have had so far has come from networking; meeting people who know people who want photos. I would not yet call photography a profession. I am working on incorporating it as a source of income but am still mostly shooting for my own enjoyment. Q: As a creative business owner how do you structure your days? **I love to climb. ** My day is structured around my passion. When I am not working, I typically wake up with the sun, do my morning routine of yoga and meditation, and then make coffee. I like to write in the mornings and figure out what I want from the day. Morning is my most creative and productive time, so I’ll typically flip through the guidebook and see what I want to climb and shoot, or I’ll stare off and let my mind sort through whatever it is drawn toward. Then I make food and head to the crag. I try to shoot one climb a day, that way I can still climb for myself and really focus on shooting during good light. I try to go through my photos at the end of the day and delete all of the fluff, and then I upload them to an iPad and do my preliminary editing. Lightroom mobile is now able to handle RAW files, so working on the iPad while I am in the backcountry. This cuts down on the amount of time I need to spend in town, editing photos at a cafe. I don’t really care for the town part, but I love working on the photos and drinking coffee. I work as a guide in Washington in the summers, So my work days look totally different. I have not taken my camera with me very often in the past because I do not have much time to focus on taking photos. I will be bringing it with me more this summer and documenting what a summer spent guiding looks like. I do most of my computer work on rest days, but other than that my photography work is not separate from my day to day. I try not to spend too much time trying to get noticed or find work. Rather, I focus on the people I am around throughout the day. The climbing community is tight knit and an honest connection with somebody goes farther than endless emails and marketing. Q: Who inspired you to do what you’re doing now? When I was a teenager I had a Latin teacher and a Theology teacher that taught me how to think critically. I took their classes to heart and never really settled for the routine way of finding my place. Throughout college I was always trying to figure what I wanted to do, and none of the tracts seemed appealing to me, but reading books about wandering and asceticism did. So I majored in English and started climbing. It was the people I met on my climbing road trips that really inspired me. I love meeting people who have made their own way without jettisoning passion to the periphery of their life. It is comforting to me meeting folks like the old man who loves his gig as a campground host. I find inspiration in famous climbers and photographers of course; Chris Schulte, Dave MacLeod, Renan Ozturk, and Ben Moon just to name a few. But to me that inspiration seems more like idealism. Its the characters from all walks of life that really inspire me. Q: What is your biggest challenge as a creative? I would love to get the point where I support myself through my photography and I guide for fun. Right now it is the other way around. The difficult part for me is the networking. I love meeting new people, but it always makes me uncomfortable to turn the conversation to networking. Q: Where and how do you work best? I love working outside at my own pace. I guess I touched on it when I was talking about how I structure my days, but I work best in the mornings. I like to set my whole day up so that I am in position for getting a good shot by the time the evening light comes through. I dislike time spent indoors doing clerical things like email, but it is a necessary nuisance. Q: If you had to start your business over what would you do differently? I am in the beginning stages of turning my photos into income, so this is difficult to answer. I guess I wish that I had started shooting a climb a day sooner. I have found that if I devote the whole day to shooting I come out with a thousand photos and only like the ones from the end of the day anyway, and I feel like I missed a good day of climbing. Just focusing on shooting one climb is more productive for me, and I wish I had realized that sooner. Q: What is the most valuable lesson you have learned along the way? Moving at my own pace. I have learned that I don’t do anything well if I am not invested or engaged. I have had more success (and take better photos) moving at my own pace than I have trying to force myself to do something. Q: Who do you consider your target market? I think that moment gets people to pay attention to where their own desires are, and I think that it is important to listen to yourself. Not that everyone needs to become a climbing bum, but maybe deciding to take a trip to do the climb that made your palms sweat when you stared at a picture of it will invigorate you and fill you with life. Q: What has been your hardest and most rewarding project? I am just coming off of a six month break from climbing. I spent four of those months in Hawai’i, trying to rediscover myself outside of the climbing context. It was surprisingly difficult to not do the thing that I do day in and day out. I am unsure if it is the “most” rewarding, but I have certainly learned a ton and am returning to my passion with a new zest and appreciation. Q: What are your biggest outdoor fitness/adventure goals for the next season? This season I am focusing a lot on guiding. I am planning on devoting the fall and winter to climbing, and am using the summer to establish a solid base level of fitness. I have a lot of goals regarding food. I am working to find a healthier and tastier way to fuel my mountain adventures that helps me perform without as many crashes. I hope you enjoyed learning about Matt, and dig his work as much as I do. Check out his website, give him a follow on Instagram. Copyright © 2019 AJ Dexter | All Rights Reserved.